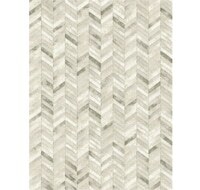 As we PS-ed in last week’s rug post, our hunt for a new master bedroom dresser recently came to a surprise end. 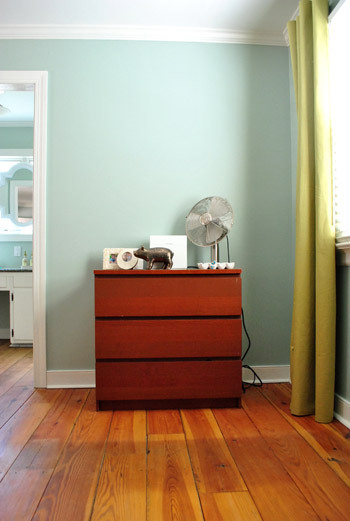 We’d been trying to find something to replace this old Malm dresser that we’ve had for 5+ years (we literally bought it on an Ikea stop the day we moved from NYC to Richmond in a big red minivan) which will soon go live in the guest room. It’s clearly too small for the wall. It’s not 100% functional anymore (the middle drawer got little wonky during the move) and it has a few visible battle scars from bouncing around our last house (at various points it lived in our bedroom, our guest bedroom, and finally the sunroom). So we wanted something bigger. And something a little curvy and ornate (for some contrast to the modern elements in the room, like Ed the Bed and our big snowball-ish light fixture). Because we don’t want our bedroom to feel like a modern furniture showroom, we want it to have that layered, collected over time look. We both liked the idea of a dresser that was up on turned legs, especially since our bed also has a leggy design, so that similarity might tie the old dresser and the modern bed together in a not too obvious way. You know for a nice marriage of old meets new. And of course we wanted something that we could rescue (who doesn’t love “saving” sad old furniture) but we’d been unsuccessfully perusing thrift stores and stalking craigslist for weeks with nada. And then it happened. A dresser miracle. The perfect piece materialized seemingly out of nowhere. And by nowhere I mean my parents’ bedroom. “Uh, yes please.” Cue the cartwheels by Sherry in the background. It’s bigger than our old Ikea dresser, so it fills up that wall properly. It’s also more traditional looking, so it balances out the modern pieces like Ed the Bed and the light fixture (just as we hoped). It also makes us really excited to get some old night tables in a similar tone and shape to further tie our whole old meets new thing together. 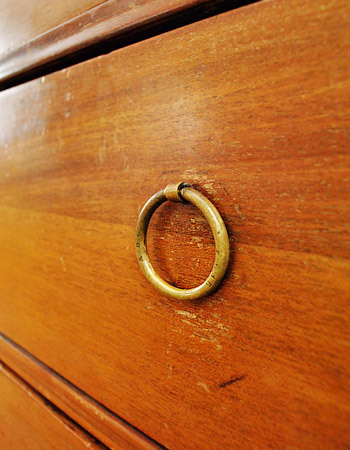 Possibly with the same cool ring-pulls (we could also order those online and add them later) and a few drawers for concealed bedside storage, which we’ve always wanted. … the rustic wide plank floors in the bedroom need more than just a little work (they’re discolored, stained, and splintering in a number of places). So we plan to refinish them in a darker mocha tone, along with the rest of the hardwoods in the house for a nice cohesive effect. So that should make the warm wood dresser feel even more special once it doesn’t blend into the floor quite as much. Especially if we have two antique-looking nightstand friends going on the other side of the room in the same warm wood tone (maybe we’ll get to refinish some old dark craigslist/thrift store finds with some lighter stain to get a not-perfect-but-good-enough “match”). 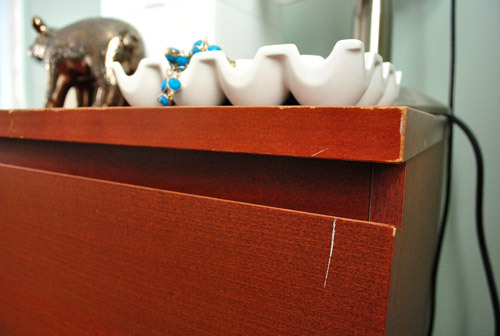 We’re totally charmed by our hand-me-down dresser’s imperfections, and love how they preserve the history of the piece. Maybe we’re being overly nostalgic since this is our first item of inherited “antique” furniture, but there’s something special about knowing the back story. My dad bought it from his cousin back in the ’60s for $100 and has used it ever since. It still boasts a scratch on the front of one of the drawers from when he transported it in his car’s trunk over forty years ago. 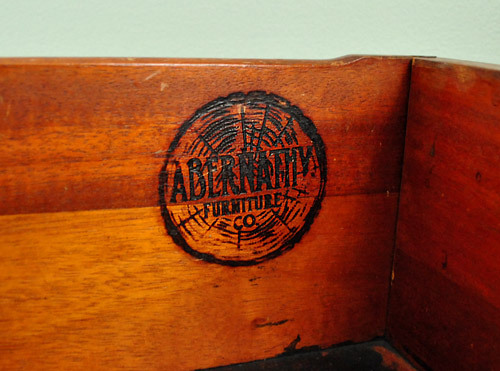 We don’t know exactly how old the piece is, but it has a stamp in the back of one of the drawers that says it was made by the “Abernathy Furniture Co” and they appear to have started operations in the 1850’s in Kansas (thanks Google). After a couple days of using it I realized it possesses some weird auditory memories for me. When I heard Sherry opening and closing the drawers from the other room, the sound of the metal pulls clanging against the wood gave me distinct flashbacks to hearing the same noise coming from down the hall growing up. Weird how sounds can do that to you, right? The only other “work” it really needed (besides a few screws to secure that broken drawer rail) was some help getting the drawers to slide more easily (each one of them stuck and dragged a little bit). Sherry had heard the old “rub soap on them” tip a few times, so she broke out a bar of Dove that we had leftover from her mom and stepdad’s visit (we use Dr. Bronner’s soap, but she worried “eco soap” might not be the same). 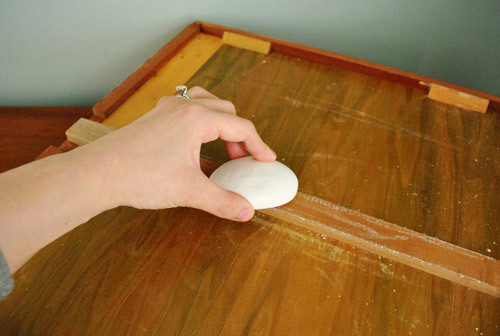 …and even on the tracks inside the dresser itself, in an attempt to “wax” them so they’d slide more easily without catching. The verdict on this little trick? It made a noticeable difference, but it didn’t solve things 100%. For being a totally free solution, we’re happy we gave it a try. But if you guys have any other suggestions for helping this baby slide a bit better, please share ’em. We’re thinking we might try wax or something. As for what’s on the dresser, the big white lacquered box is a charging station that we got at Pottery Barn Outlet a while back (as seen in this road trip video), the ceramic egg crate is full of Sherry’s jewelry, the table fan is for the summer, the two white bowls are full of Sherry’s bracelets/necklaces/glasses, and the three frames are pics that Sherry and I snapped on each of our wedding anniversaries. And yes, there’s a ceramic animal friend worked in there too thanks to my weird wife (a bronze ceramic pig that she found at HomeGoods for $6 a few weeks ago). I actually think the dark bronze twist is kind of cool, but don’t tell her I said that or it’ll feed her strange addiction. Now for the bigger picture. Here are some more bedroom photos, just so you can see how the new dresser plays with the other things in the room (which is most definitely still “in progress” and in need of some art, a nice long bench, a big white built-in or cabinet to the left of the bed to balance the door, those aforementioned leggy honey-colored night stands, and maybe even some new table lamps among other things). Should be a good time (or not, depending on what we find and how many places we have to go- haha, there’s the husband perspective on shopping). In the end, as exciting as resolving our dresser dilemma is – one of the best parts is that we’re finally able to move some of our clothes out of piles in the closet and into proper storage (four full drawers of it). Which means after 3+ months of living here with mountains of shirts and pajamas on the floor of the closet thanks to a smaller dresser with one inoperable drawer, we officially have no more excuses for not organizing things. Uh oh. So that’s our first antique hand-me-down adventure. Or “furniture inheritance experience” if you’re fancy. And I’m not gonna lie. It does feel kind of fancy. The idea that we own something older than my dad is, in the words of Miley Cyrus, “pretty cool” (anyone else watching SNL lately?). Even if it’s a little beat up and didn’t come from an auction house. Have you guys ever gotten something especially awesome or particularly sentimental handed down from a family member? Anyone run into the moral dilemma of whether or not to make changes to it? We got lucky in this instance (since my mom and dad were more eager to refinish it than we were) but we know that might not always be the case. Sticky. 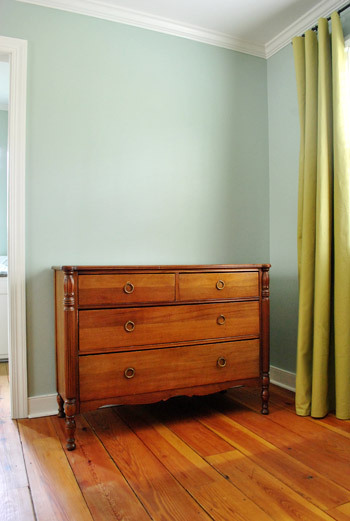 Pssst- Wanna see how we completely refinished an old craigslist dresser with stain and paint for Clara’s nursery? Click here. yea!!!!!!!!! so glad you are incorporating some antique/family pieces! we have a streamlined, young style, but when we married a few years ago, we inherited a LOT of beautiful antiques. 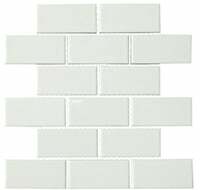 I have struggled to use and enjoy them without feeling the need to paint them all white, willy nilly, or try to “modernize” them, if their existing lines are beautiful and I like them. I’m so excited to see them being added to your style. i’ll be sure to take notes!!!! The new dresser should add a lot of function to the space. We actually have one that is a similar shape, but I don’t think it is an antique, but it is a hand-me-down. I love the look of the old with the new, though painting it a fun color would be cool too. We annually wax our window ropes (name is escaping me) by rubbing them with a white candle. Maybe that would help your drawers better than soap? Good luck! It’s beautiful. Ooh that’s a great idea! I have candles lying around so I can try it for free and report back! 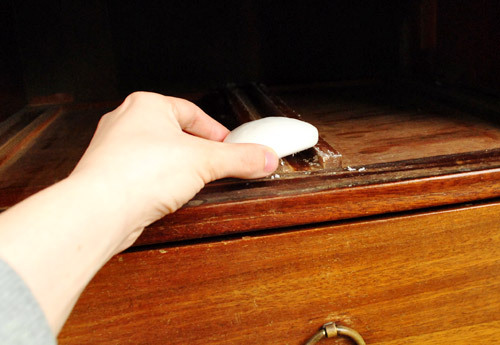 I also had a dresser that had a drawer that was sticking, and I just rubbed a white candle on it as well, and it did the trick! Looks great! It does go nicely with the floors. grab a taper candle, and give everything a rub – it works great. i’d never heard of soap, only wax from candles. great score on the free dresser! Very pretty! I have two of my mom’s dressers she bought in the late 60s – you absolutely cannot beat the quality these days no matter how much money you spend. “Cue the cartwheels by Sherry in the background.” HILARIOUS! I love the new dresser! I’m glad you’re not going to paint it. I’m not opposed to painting things, but I love how it looks in your room. Randomly, I was wondering if you two read each other’s blog posts? 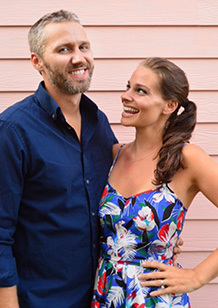 My husband never feels the need to read my blog because he already knows what’s going on. John almost never reads mine. Haha. And if he does it’s two days later. I mentioned this to Katie Bower the other day and she couldn’t believe it and thought it was hilarious. I usually read John’s since I’m the “proof reader” so I did see that little ceramic animal jab in there. Haha. But as for mine, I could probably divulge John’s birthday presents without him ever knowing. Haha. Haha this is hysterical. I posted something last week and my husband said he was going to read it, then was done in about 2 seconds. I swore he only looked at the pictures and he confessed to just “skimming”. Though he was able to summarize it rather well…maybe he’s just the fastest reader ever? Just looking at the pictures is hilarious. John doesn’t even pretend to “skim.” Haha. I ask if he read the post and he’ll just say “nope, not yet.” Haha. Hahaha I love this. My fiance, who does carpentry, made us our first piece for our house (a cherry and poplar bookshelf) and kept asking if I blogged about it every night for about a week straight. I finally did it. Last night I asked him if he read it yet and he said “nope”. Hahahaha. I knew he didn’t read my blog really, but I was like OH COME ON! I love it. My grandmother died shortly after I moved in to my house. Which was sad but also I was the only person with space for any of her furniture. So I got a lot. My favorite thing is an old writing desk that I cleaned for hours and moved in to my spare bedroom/office room. It’s awesome and one of my favorite things now. I love that you’re using something from the family and I think it looks great. Keep up the good work Petersiks!! Looks great! Love the pink surprise inside the drawers! Ooh, it’s PERFECT!!!! I love how it looks against the floor! The room, just like the house, is really coming together! LOOOOVE watching it unfold piece by piece (it’s what gets me through the work day, really!). Hooray! Lovely dresser! I can attest that the “candle trick” works. 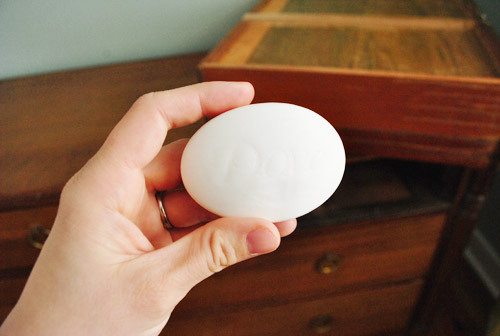 Simply rub a white candle in all the same places you used soap and it should do the trick. I’ve been lucky enough to inherit a ton of furniture from family (curio cabinets, blanket chests, dressers, a bed…) and it really lends itself to a warm and homey feel. Enjoy your new treasure! I love this! I have had the fortune to inherit a lot of beautiful pieces from family members. So much so that I have a lot of them in storage. I love how they add beauty and memories! 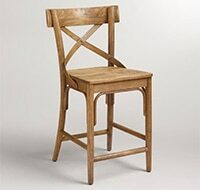 Plus, older furniture tends to be made so much better. Practically all our furniture is hand-me-downs! It was such a wallet saver when we moved into our first house – we only had to buy a dining room table and console. Slowly we’re either replacing the items with what we want or refurbishing them to fit our style. We are currently putting together our daughter’s “big kid” room and plan to use the antique spindle bed that I used growing up. It was my grandmother’s once upon a time. 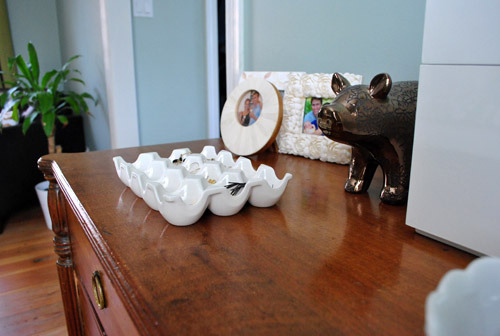 I actually love the warm honey color (similar to your dresser) and the little knicks all over it – it gives it some nice eclectic and loved character – so we don’t plan on painting it. yeah hand-me-downs are a great help specially to newlyweds. Reading the comments, im surprised that a lot of people are thrilled with inheriting furniture – and I thought I was strange. Love the new/old dresser! The legs, the ring pulls, the sentiment… awesome score! It fits the walls perfectly! What a beautiful dresser! Gorgeous legs, and I love how it warms up the entire room. lovely dresser and the view from your bed through the new lamp and the new mirror over the sink is great! As for something old and handed down, my Mom recently gave me a jewelry box that was her mother’s. My Grandfather bought it for my Nanny in Korea when he was stationed over there during the war in the 50’s. It doesn’t match any other piece I own, but it’s so unique and I love it. I wouldn’t consider changing that piece. I have inherited some family pieces, but when it was time to down-size, keeping or giving them away caused some unwanted stress. I am sure your parents were pleased to pass it on to you. Very cute. I love the leggy dresser! Would you mind sharing what you store in the box and in the two bowls that you have placed on the dresser? I love getting new ideas for storage solutions so just curious what you are using them for? The big white box is a charging station for our phones/camera and the bowls are full of bracelets, necklaces, and my glasses. What a great score! It fits right in but not in a perfect matchy way. Your master bedroom is really coming together nicely. I have a 3 shelf unit from my in-laws. The purchased it when they were in Germany during the war, and just had their firt child…living in a small apartment. In that time, you had to pay more for an apt. with cupboards and closets…so they purchased this stand and stored everything they had in the kitchen on it. Pots, pans…it even served as the pantry. They have lived in 14 homes since and this unit has been to them all, it is now in our home and I just can bring myself to alter it. The stamp fomr the original mfg. is still in tac and I love the wounds it has gathered over the years. I am completely obsessed with the way the light fixture reflects in the bathroom mirror. Obsessed. I am also happy to see that Sherry has adopted a non-white animal … although maybe I spoke too soon? I dig the finish, we have a unicorn ‘friend’ with the same finish. My house is FULL of inherited furniture, and I love it that way! It is mixed in with the new things and makes my home uniquely MINE. I have three favorite pieces…my bedside table is my late grandmother’s old flip top sewing machine stand that my late aunt refinished and added a shelf to (similar to this with the sewing machine removed http://www.ebbtide.ca/images/antiques/furniture_2009/Antique_Sewing_Machine_complete_with_cabinet_lg.jpg) …in my living room I have an old ornate asian inspired marble top side table that also came from my aunt via my grandmother via my great grandparents…and I have a huge spectacular barrister bookcase that was used by my great great grandfather! I have several other “old” pieces that I actually bought at used furniture stores which I also love…the South is GREAT for finding these kinds of things, in my experience. Oh yeah…just remembered my other favorite item…MY BED! It is an old metal bed that was always at our family lakehouse…spent many summer afternoons lazily reading books on that bed while waiting for the hottest part of the day to subside so I could go swimming again! In the south, estate sales are also great places to find older things. Perhaps it is because we’re all pack rats and we have to die to get rid of things? Seriously, most of my furniture is inherited or purchased second hand. My house feels like me. Ha! We definitely keep our eyes peeled for estate sale signs. Probably more so now that we’re building even a greater appreciation for antiques! LOVE the dresser. I have major antique furniture envy, since my family basically has none haha. It’s the perfect color- the warm honey color-not the washed out honey oak you often see nowadays on kitchen sets. Hope the candle does the trick for you! I’m so glad you aren’t painting or staining it. 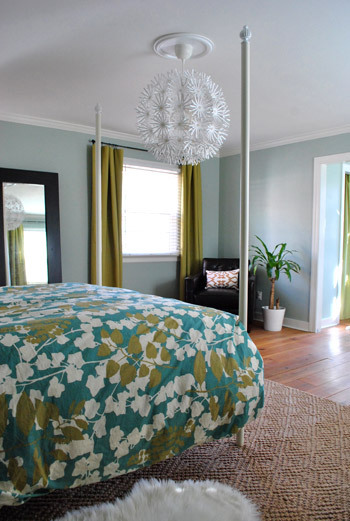 I really love the color and it goes so well with the paint/curtains. I’m sure you have mentioned this before, but where is the egg-container-like jewelry holder from? I love it. 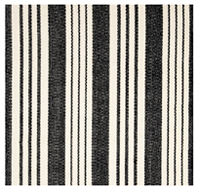 That’s from Crate & Barrel over 6 years ago, but we’ve heard that Anthropologie sells them now. Hope it helps! for eggs in the fridge. Love Fish’s Eddy! So charming. Joann Fabrics sells them too – might be able to get one on the cheap right now because all the Easter stuff is stocked. Awesome. Thanks Sherry & YHL fans! a) I have never looked at your bedroom light fixture as ‘snowball’; but always as ‘dandelion’. And I love it! Haha, she is just a super delicate and deliberate baby. She’s gently pets my earrings or my necklace instead of yanking on it. And she usually only puts food in her mouth (as opposed to her hair or her ear or her nose, haha). She just isn’t one of those kids who likes getting messy, at least not yet. Who knows what’ll happen in a few months. Haha. Ah, I love a good hand-me-down! The dresser is super cute and probably so thrilled to “stay in the family”. The bedroom is really coming along – looks great! If you’re serious about a bench, and there’s any chance you’re headed down to Charlotte in the next few weeks, I’ve got a World Market Lugano bench I’m willing to sacrifice on the cheap. It’s a lovely piece but doesn’t have a function for us — and we’re moving and downsizing. Woah that’s an awesome bench. Bummer that we won’t be headed down to Charlotte anytime soon (nor do we have a car that’s big enough). Sadness. But maybe we’ll be forced to DIY something fun! I may be doing a drive down to Charlotte in early may — Sherry, if you wanted it I might be able to play mail carrier…. I also recently inherited not one but two old dressers. 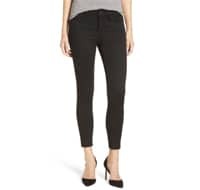 One of them was originally a nice 60’s olive. My uncle refinished it prior to my owning it, so I won’t feel bad if I liven it up a bit down the road. Maybe my dressers are antique. What’s the criteria? I am going to have to research their ages! No idea what year constitutes an “antique.” Good question! Anyone know? The rule of thumb we used when I worked at an antique store was antique was 100+ years old. Vintage only has to be 25+ years old. Love that! Vintage is probably the better term for our dresser then. Unless it was made right at the beginning of when the company opened. Interesting! 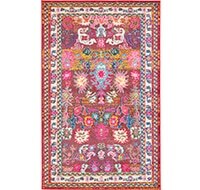 A true antique is at least 100 years old but younger pieces can still be valuable collectibles. At least in the museum profession, we define “antique” as something that is at least 50 years or older. Anything younger than 50 years can be defined as “vintage.” However, I’ve also come across the idea of 75-100 years as the benchmark for something being an “antique,” so really, the definition varies widely! That’s so interesting! It’s kind of cool how it varies. That piece is in really good shape for its age, lucky you! Almost every room of our house has hand-me-downs; 2-24″ square Moroccan, circa 1970 end tables in the FR; everything but 2 chairs we picked up in the LR; EVERYTHING in the DR;a futon; and my daughter has the furniture I grew up with, while our son has my father in law’s old dresser. We haven’t touched a thing with stain or paint in the 15+ years of having the pieces, though really we probably should. Most are really showing wear and tear, especially since some of them are close to 75 years old now. I’m dying to paint the huge end tables, but my mom gasped when I mentioned it :(. But having so much given brings memories every time I see them, my DR was my great grandmothers originally, and I was fortunate enough to fill it with my grandmother’s crystal. I’ll never change it because it reminds me of both of them, plus my mom, every time I go in the room. It does make it hard to “modernize” our decorating though, which I’ve mentioned before! That side of the room is really coming together. That dresser is perfect. I have an old hard rock maple drysink that my parents bought in the 60s. It’s had many uses (bar, sewing machine storage, etc.) but the most meaningful to me is that it was my bassinet for my first few weeks of life. My mother had broken some ribs giving birth to me (man, is karma going to get me back!) and couldn’t bend over to put me down in my crib but the dry sink was the perfect height for her. So yes, I was stashed along with the whiskey. Whatever works! 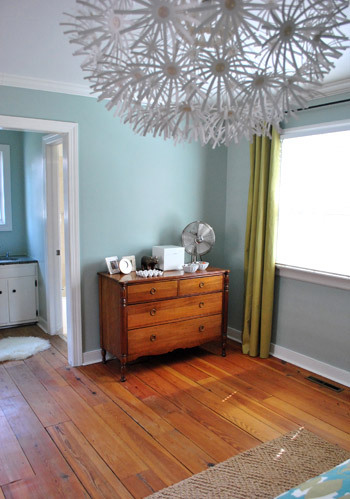 It’s a great piece with so much more character than the Ikea dresser. I wonder how old it is. My husband inherited a great dresser when his grandmother passed away – it has beautiful lines and I’m staining it this week (I read your Clara dresser tutorial this past weekend a couple of times before I started as this was my first time staining anything – so thanks!). We also were given a Duncan Phyfe style dining room table that belonged to my husband’s great grandmother. The coolest thing we have, though, is my grandfather’s violin – it was cracked and unusable, so several years ago my aunt mounted it in a shadow box. I’ve loved it for years, and my mom just gave it to me to hang above our piano. Oooh, I’m so envious of the Duncan Phyfe table! I love that style! I love the “new” dresser!!! I am the proud owner of my grandparents 1954 bedroom furniture. Full size bed, tall dresser and long dresser with mirror. 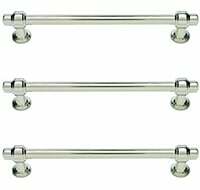 It has a blond wood finish with modern lines and chrome handles. It’s in my 3 year old daughters room. I love it. I have fond memories of taking naps with my Grandma in the bed, and looking at all of her jewelry in her top dresser drawer. It’s weird how it felt so bid when I was little, now I think, what couple would be comfortable in a double bed!? Antiques and hand me down are my favorite. It’s fun to see what you can do with them. Most of the things in our apartment are hand me downs, and we do have quite a few antiques. We got a shelf made by my uncle who died in the 40s, a radio stand bottom (another uncle cut the top off in the 50s when the radio broke), my mother in law gave us an 1890s Irish pub table. Yesterday my mother in law gave me a small table to use in the guest room. I haunt been reading your blog long, but I am addicted! And I love your house! 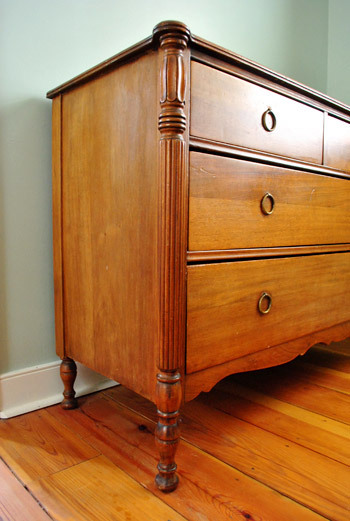 I have also been searching craigslist and thrift stores for a dresser just like this (I’m jealous). My grandmother has actually offered me one of hers. I’m going in a few weeks to check it out and make sure its the right size. I think its going to need some refinishing though. I’m planning to use the instructions y’all posted from Clara’s dresser. I’m thinking a dark stain. I can’t wait and will definitely post pictures to y’alls facebook when I finally get to do it. Old furniture is so much nicer than the new stuff out there. I love your new dresser. Really love it. My house is filled with antiques from my family and my husband’s family (parents and grandparents!). We even have an amazing piece *hand made* by his grandfather. I so love the family history aspect of our things. Like John said about hearing the pulls from down the hall – good memories. how do the 2 of you only use 3 drawers? where do the clothes go? There are a ton of built-in cubbies (sort of like drawers when you slip a basket into them) in the walk-in closet. So that’s where most of John’s stuff goes. Once we get a little more organized we’ll share our big closet clean-up and how we’ve delegated those drawers! I was wondering the same thing. :) I have a huge dresser and it is packed full! But then again I have a tiny closet and a massive pajama addiction. Wax gives way better results than soap (almost way too good, it may make the drawer slide out completely). No matter what rest of a candle does the job. All the love in the world for you! Haha, oh yes we gotta paint those guys! It’s beautiful! I love that you’re trying to incorporate old and new together. I think the modern look gets a little cold when people take it too far. Also, as mentioned above, I’ve tried the candle wax thing too and it works. I’ve also just taken a small piece of sanding paper and smoothed some of the edges out on the rails, etc. or whatever they are called, to keep things moving better. Love it- I’ll add that to my candle project! I finally broke down and bought the smaller version of that IKEA fixture. I just love it so much that I was afraid one day it would be gone. 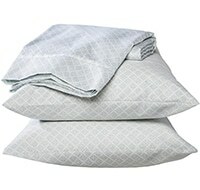 We don’t have a HomeGoods in WA but I’m off to Marshall’s today – just to look. It’s time to get our house in order while I’m still unemployed. PS Love the ceramic egg tray! Lots of plastic ones at the thrift stores. That’s a good project not that they make good plastic paint. A perfect match! I love mix of old and new together. I love Fred the dresser. Goes perfect with Ed the bed and the memories that go with it are priceless. Cannot find that on craig’s list.